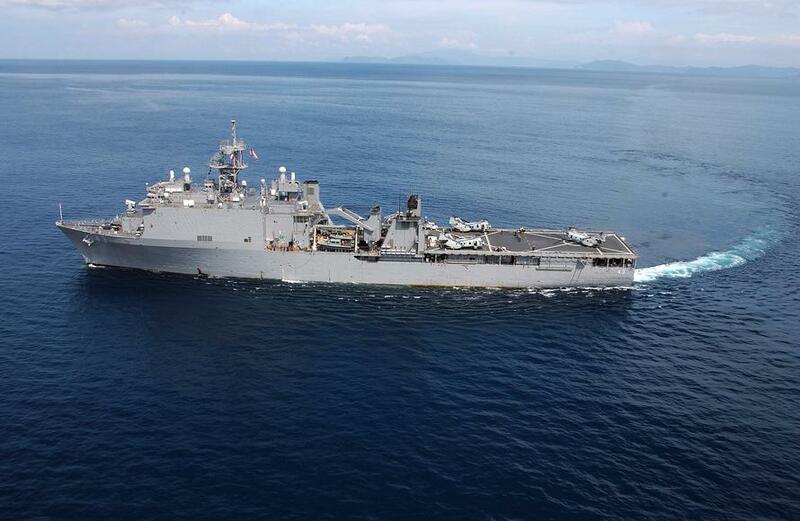 The US Navy has confirmed the dock-landing vessel USS Fort McHenry has entered the Black Sea at moment tensions with Russia remain high following the Kremlin's seizure of three Ukrainian vessels in November in the Kerch Strait. This marks the first US vessel to enter the region since the Nov. 25th incident, which Russia said was an illegal and provocative violation of its territorial waters, and which as a result Ukraine has called on NATO powers, including the US and UK, to beef up its presence in the area to counter Russian aggression. Navy officials stated the Fort McHenry transited the Dardanelles Strait en route to the Black Sea on Sunday, according to Stars and Stripes military newspaper, while noting the operation is a "regularly scheduled Black Sea operation" — though also referencing the dispute between Russia and Ukraine as part of the statement. While Russia has in recent years viewed any NATO-member vessel in the Black Sea, especially the United States, as an intrusion on its sphere of influence, the Fort McHenry is unlikely to provoke further hostilities as it possesses little offensive capability. Its weapons are commonly described as merely "defensive" in nature, including machine guns, small cannons, with its most significant being short-range anti-missile systems. But Russia could be sensitive to what may be the West upping surveillance vessels dispatched to the region, given that days after the Kerch Strait incident, Britain sent the HMS Echo, a UK Royal Navy survey vessel and monitoring ship, to the Black Sea. At the time there were calls from top British commanders to send a much more powerful and capable Type 45 destroyer, or guided missile warship, to counter perceived Russian aggression toward Ukraine. Though at the end of November Ukrainian President Petro Poroshenko said that Russian military buildup in Crimea meant that Ukraine is "under threat of full-scale war with Russia" in an apparent effort to hype a coming conflict and attract the support of Western allies, calm has ensued with no further direct military confrontations. However, deployment of more offensive-capable US or British battleships would put Russian forces on high alert that a potential confrontation with the West in the Black Sea could be on the horizon, but it appears for now cooler minds are prevailing.